Wader Quest: AWSG Whimbrels getting close to breeding ground! AWSG Whimbrels getting close to breeding ground! Over the past week, our two Whimbrels KS and KU have made significant progress towards breeding ground. 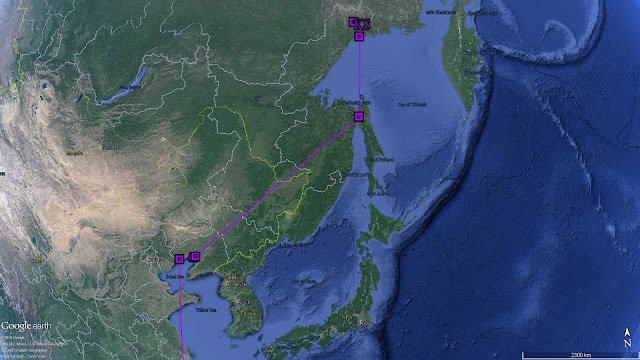 After staying for 10 days in Panjin, Liaoning Province, on 17 May, KS first made a north-east flight to the east coast of Sakhalin, Russia in a single flight of nearly 2,000km in 2 days with an average speed of 45.1km/h. On 21 May, signals from the transmitter show us that KS had moved again to a lake called Ozero Tungar near the coast of the Sea of Okhotsk. But it had only stay for a very short while, maybe for an hour or so, before it continued to head inland in a north easterly direction. Just a day after KS departed, KU made its move as well. On 21 May, KU first made a stop near Qiqihar City in Heilongjiang Province before crossing the China-Russia border. In two days’ time, KU again flew for another 1,650km with average speed of 35.1km to land in an area east of Yakutsk in Sakha Republic. 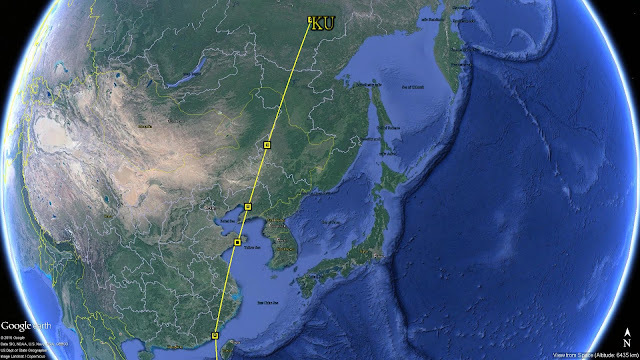 From the maps (Fig 2) we could see KU had been utilising wetlands all along a straight line from China to Russia. It will be very interesting to see if its final destination in the breeding ground falls on the same straight line! In one or two weeks’ time we would also hopefully be able to find out where they nest, which is one of the main objective of this satellite tracking project. Another very interesting question would be: Will KS and KU reunion again at the breeding ground? We are now quite certain that JX would stay in Palawan, the Philippines. 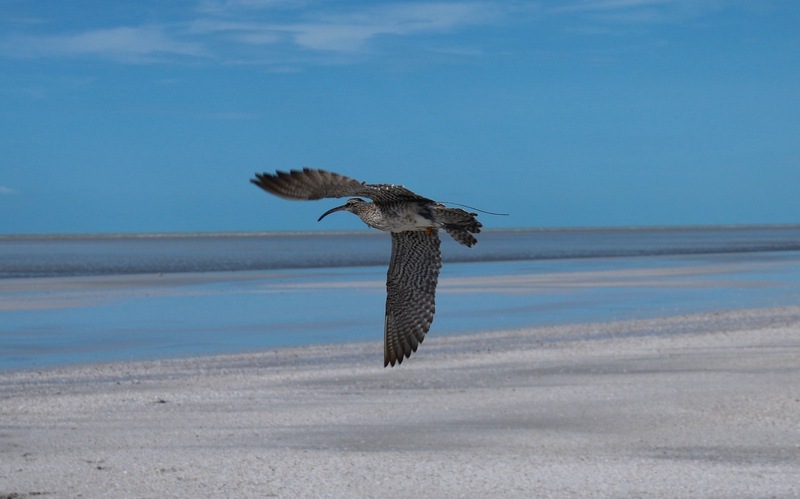 Nevertheless, it is still giving us valuable information as NW Australia leg-flagged Whimbrels have not been resighted in South-east Asia before. 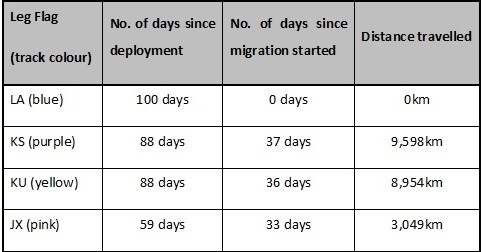 Today also marks the 100th day since we deployed transmitter on LA, we do hope our Whimbrels and transmitters stay strong for another 100 days or more for us to understand more of their magical journey!